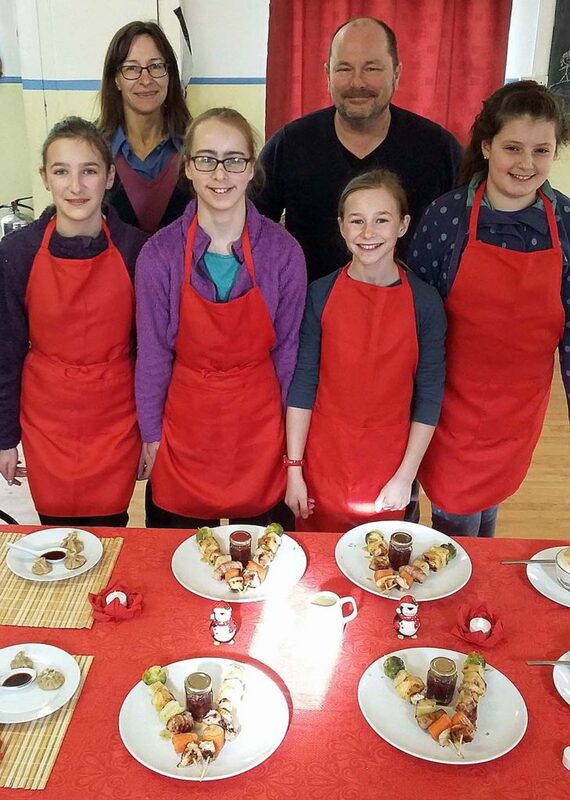 TALENTED members of the 1st Charmouth Scout Group have secured a place in the next stage of a UK-wide cooking competition. The four girls had to design, plan and prepare a three-course meal for four people using just two gas rings and within a two hour time limit. 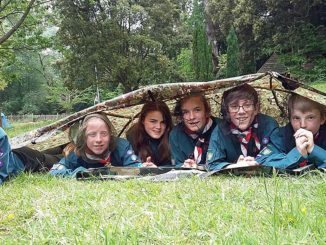 Lucy and Annabel Mackenney, Minnie Harding and Annabelle Roberts were all amazed to win the district heat in the Scout-organised competition, and then to secure second place in the county competition. This means they will now go on to represent Dorset in the regional semi-final in Gloucester at the end of April. 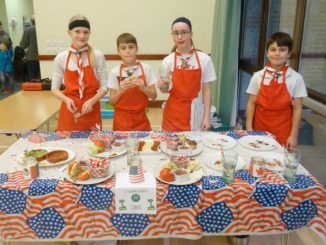 As the theme for the competition was ‘Celebrations’, the girls drew inspiration from the travels of two Scout group members to devise the menu. Nepalese momos (steamed dumplings, as one of the Scout leaders had just come back from Nepal) to start, Christmas dinner kebabs for the main and key lime pie with Italian meringue for dessert (as of the group’s Explorer Scouts is off to the World Scout Jamboree in the USA). The food has to be well presented with marks scored for team work, food hygiene, keeping within a budget of £18, table decorations, presentation and even washing up. Prior to competing in the county event, the team called in renowned chef Ian Simpson, who runs the White House Hotel in Charmouth, for his advice. Ian was so impressed with the standard of all three courses that he ate a large sample of all of them. 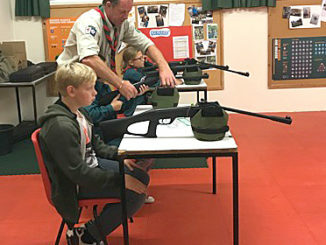 The 1st Charmouth Scout group is a fun and active group for young people aged 11 to 14 who enjoy a wide range of activities. The group has vacancies for children and is always looking for volunteer adults to help run the weekly sessions.